Feeling a bit irreverent and thoughtful tonight. While watching Capitol Tonight when the reporter referred to the NYS senate races as a “bloodbath” for the Republicans I did let out a laugh. 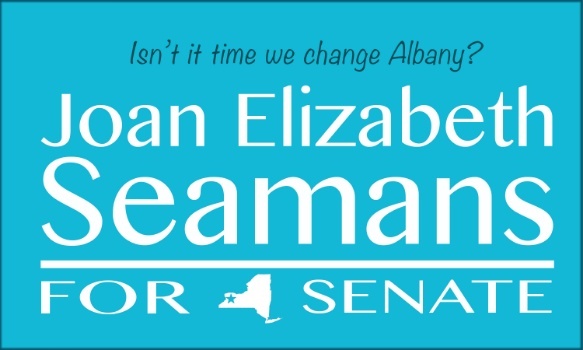 In all honesty, I would have loved to have been heading to Albany this January and joining the new majority in the Senate. It’s tough looking at the district and knowing it’s still in Republican hands. There is work to be done and two more years is a hard wait for those needing help now. With the downstate Democrats being such a powerful force, just by their numbers, I do have concerns. Our local Republican Senators will see their resources dry up and an end to their ceremonious ribbon cuttings. In saying that, I do have faith Senator Tim Kennedy will work overtime trying to help our region. I hope to pass along some of the issues I vowed to champion. We will need Senator Kennedy more than ever. Even with the disparity in resources, and district 61 feeling a pinch, there will be a wave of good things on the horizon with the Democrats leading the way. I am so excited to see our Democrat majority move into their new offices, head committees and get to work bringing positive legislation to the floor. We certainly have waited long enough.